In one of his most popular books, bestselling author Charles Stanley answers the question "Am I going to Heaven?" Is it possible to know, beyond a shadow of a doubt, that I am going to heaven? If my salvation really is secure, can I commit any sin and still go to heaven? Dr. Stanley helps believers understand the issues of grace and works in a compassionate, straightforward manner. Previously published in hardcover (0840790953). 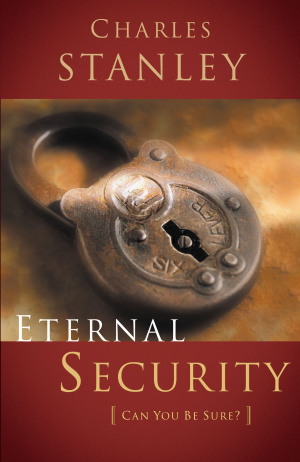 Eternal Security by Charles F. Stanley (personal) was published by Thomas Nelson in January 2001 and is our 22532nd best seller. The ISBN for Eternal Security is 9780785264170. Be the first to review Eternal Security! Got a question? No problem! Just click here to ask us about Eternal Security.